Our academic program is structured, challenging, and supportive. Students at all grade levels are taught the study habits, critical thinking skills, and knowledge that they need for success in their school careers. The language arts program encompasses phonics, reading comprehension, literary analysis, expository and creative writing, spelling, vocabulary, grammar, penmanship, public speaking, and poetry. In mathematics students learn basic math facts, number theory, and geometry, while developing their problem solving and quantitative reasoning abilities. Our math program culminates with a pre-algebra program for all sixth graders. Classes in science are based on hands-on experiences and applying the scientific method to scientific concepts and principles. 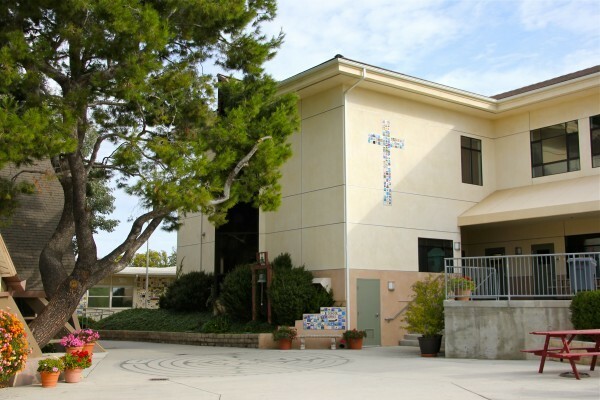 The social studies curriculum at St. Patrick’s includes the study of geography, the history of our local community, California, the United Sates, and the ancient world. Through these topics, students are introduced to primary concepts in economics, government, and cultural traditions. In addition to the core curriculum, students enjoy weekly instruction in computer, art, music, physical education, and Spanish. We believe that it is important to learn in a Community of Kindness. To create such an environment, the entire school joins together for chapel two mornings a week. Our school Chaplain conducts lively lessons that are interactive and emphasize values such as compassion, kindness, gratitude, service, respect, honesty, and forgiveness. During chapel the students sing songs and listen to readings and student presentations from a variety of sources. In addition, each grade level has bi-weekly values classes that are age appropriate and re-enforce the values taught during chapel. Through practice, our students are guided to make a positive difference in the school community and the greater community. We believe that technology is more than a device. It is a powerful tool that can enhance learning when integrated into all disciplines. Our teachers use technology to supplement and enrich their teaching while kindergarten through sixth grade students learn application skills that support curricular goals and grade-level content. Third through sixth grade students learn and practice touch-typing as part of their weekly computer classes. As a member of the California Association of Independent Schools, we administer the Comprehensive Testing Program, known as CTP4, which is published by the Education Records Bureau. This test is administered each spring to students in grades 3-6. The results of the test enable faculty and staff to evaluate student achievement and to make appropriate adjustments to curriculum, methodology, and placement. Students’ grades are not affected by their standardized test scores.